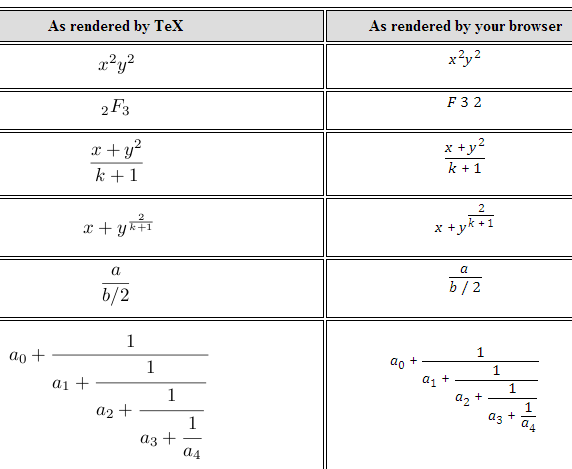 Khan Academy has released a new library to typeset mathematical notation on webpages, called KaTeX. I was recently asked about my MSc dissertation (by someone who may choose to ‘out’ themselves here, but as it was a personal email I won’t name them). In my dissertation, for a Masters degree in computing in 2003-4, I developed a system for pre-processing MathML code using PHP to include pseudo-randomised values in the questions for an e-assessment tool. The title is ‘Asking Questions With MathML: dynamic treatment of XML and pseudo-randomised mathematics assessment’. The query was from someone who is training to be a maths teacher and is doing some web development. They had seen mention of my MSc dissertation topic on this blog and asked where they could read more about the underlying web technologies. Here, basically, is what I replied. The arXiv has enabled MathJax! A bit of slightly overdue but welcome news: the arXiv has enabled MathJax on paper abstract pages. 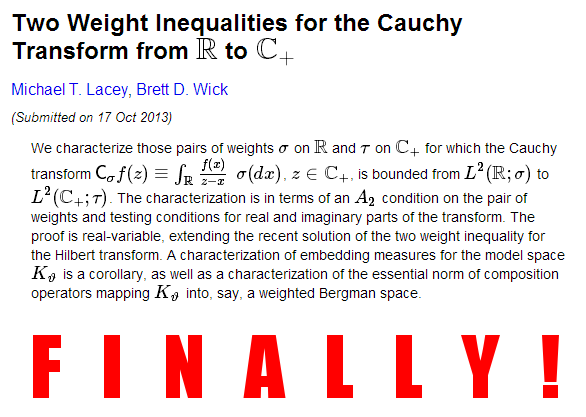 Authors have regularly been using LaTeX syntax in their titles and abstracts, but now the arXiv typesets them automatically for you.